"Exactly what our team needs to stay on top of project tasks and goals"
Samepage is quite flexible and customizable when it comes to configuring projects, tasks, assignment and goals. It has an array of visual tool like workflow charts, calendars and Kanban boards that allow us to get a quick glance at ongoing activities and upcoming deadlines. Using Samepage to set up and manage project updates is simple for most of my team to do. The menu items and actions are all intuitive and relatively simple to comprehend. Working with some of the integrations can be tricky. Though adding certain applications like online storage accounts was easy, it took us some time to add some of our business insight platforms connected in a way that made sense for our projects. The pricing is somewhat reasonable, but can get high when you start to add more team members. There are lots of collaboration tools like Samepage out there, but I think you'll find that Samepage is one of the more versatile platforms that can fit more needs. I would recommend starting with one of Samepage's templates to get your project structure going in the right direction. 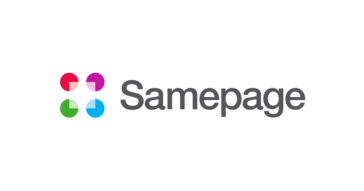 Samepage helps to keep our team locked into projects with complete access to project task, resources and deadlines. It's been an effective way for us to communicate through video calls and chats. Some of us have access to other calling and chat platforms, but Samepage really helped to consolidate most of our communications into one central hub. I like that it allows my team to track projects and send updates to each other about how far along each project is. I also like that there is a chat and calendar feature which we use to communicate with our contractors and easily see what appointments have been scheduled. Unfortunately, and this may just be due to how our company functions, we find ourselves using Google Hangouts much more frequently than the chat function within Samepage. Additionally, I feel like our team never updates Samepage, I wish Samepage encouraged people to update their projects more frequently. I would say that Samepage is a great way to track your ongoing projects with the caveat that team members must update it regularly in order for it to function effectively. We currently use Samepage to track our projects. We mark when tasks are completed and are able to ping team members when it' their turn to complete a task. When updates properly Samepage help keep projects on track. "Poor interface, glitchy, but on the right track for collaboration with direct file editing"
Samepage allows direct file editing such that a file uploaded to Samepage, for example a Word document, may be edited in it's native program which eliminates the hassle of the cycle of uploading and downloading to collaborate or co-author with others. It's seamless with Samepage's desktop app, except that Samepage is glitchy and often documents/data won't save. There is no way to recover these document edits. We use Microsoft Office programs such as Word and Excel. More importantly, we use track changes in Word documents to collaborate on projects--this is not a seamless feat with remote workers. It involves constant downloading and uploading and managing of various versions. We tried programs like GSuite, OneDrive, and countless other writing collaboration tools/software to no avail. Either they weren't robust enough or they required our whole team to be on a particularly clunky platform with special email addresses. Samepage is great because you only have to upload a document once and never have to download it to edit it. Moreover, all the Word document functions work properly including track changes. The user interface is awkward, the layout is cramped, and the navigation is never fluid no matter where you are on the learning curve. It's not stable so expect page freezes and lost data. I don't bother adding many elements or pages anymore unless I'm feeling like I want the self-inflicted pain of going through a maze with unstable elements everywhere. "Focus, sharing, collaborating, talking, all-in-one page. " I really like the main concept. Being able to concentrate every single step, every reflexion, every draft,note, picture and so on... In only one page. I love to write a lot of ideas, find pictures for a mood board, a rough draft for a script, and being able to share with my team those elements, whiteout sending those time consuming mails. With this tool, everyone can be on the same level of information, in real time, at each step. The space, divided into 1, 2 or 3 columns, is completely customizable. Order, content, colors... It is your page, your projects. Because samepage is working manly on a web browser, you can access your work on any computer ! The integration with services of file sharing, as dropbox, Googles drive etc. is excellent, and does not oblige you to transfer data banks which you certainly took time to build. Sampepage is accessible thought a well crafted mobile app, with notifications, upload, chat, to keep working outside. Last but not least, you can use Samepage for free on little projects, and small team ! Other price are really low, to fit your budget. Even if everything seems ideal, some details can be improve. Because Sampage is running on a web browser, you have to let it run in background (can be power or CPU consuming), and you need to refresh the page some time to get access to last post on the page. And sometimes, you just don't want to have a distracting web browser always on your screen. A native app soon ? The last concern is the lack of chat video. (you can upload and share video). We are working in corporate movie industry, so we always face short deadline, lots of documents, sources, and partners. We save an incredible amount of time being able to coordinates everyone on one place. The story-boarder send me drawings, digital artist can comment on those, and send some rough 3D concept. When client gives use new information, we can update instantly the script and everyone has the last version ! "Time Intensive Set Up But Huge Payoff"
We're loving the flexibility of being able to design each page exactly as we like. We do a lot of different types of work for different clients, so the ability to customize is critical! Our biggest ongoing complaint is the lack of repeating tasks. We are still using other task management software along with Samepage because we are unable to create recurring tasks, and that is very annoying. Same with recurring events. We are a fully distributed team, so communication is critical. The product keeps us quite literally on the same page, and that has been huge for us. It is easy to set up groups, tasks, add documents and provide updates. You can also schedule and have conference calls with this program. One group can view certain information. Multiple groups cannot view the same information so it makes it hard to filter the information if a member belongs to more than one group. It is a good basic collaborative software but if you are looking for timelines similar to Gantt Chart, this would not be the right one. Finding a collaborative software so our team can work together in one site. Email notifications are sent to the members when updates are added in the program. SamePage has a nice, clean look that makes it easily understandable and not daunting to figure out. There are many options to customize and figure out how to best use pages for each group that needs access. Good for small companies and sharing with clients! We created dashboards within each client page where we upload files for clients to access when they need. versus emailing and getting lost. Needed a place to store files where all employees can access. love that this is available anywhere and we don't need to worry about storage or slow server connections outside the office. "Using Samepage for national collaboration"
The capacity to have all information and communication in one place and to keep collaborators up to speed with progress in an organised way. I don't really 'dislike' anything as yet. I am really in the beginning stages of using Samepage. I did find it awkward to invite external users and have them see the relevant information so ended up having to purchase additional licenses. I have a project that involves 6 collaboration with 6 teams, each at a different university in Australia. I wanted to avoid the displacement of information that sometimes occurs when using a number of platforms - email, dropbox, etc. So, far Samepage seems to be a good option. My collaborators are beginning to use Samepage. "Awesome easy to use and great for tasks and deadlines." I like the tasks that can be created and assigned with deadline dates given - this is really useful. I also create all my priority lists in Samepage. Its very easy to use and all my team have picked it up without instruction. Commenting is also great. When you create tasks and given them deadline dates they are not ordered in date order within your Samepage list - this would be very useful if they were. It would be useful to somehow view comments right next to your task, I know when you click on a comment its highlights task, but sometimes I need to see all comments related to that PID. Give it try you will be surprised how easy it is to pick up and get running very quickly.. Instead of relying on email and chasing email for answers, I can give deadline dates in Samepage and use a the simple lists to see who has completed what and what items are overdue or late. Very useful. All my tasks are now in one place to see their status. "Has changed the way we work forever"
I think the most positive change this has brought is bringing together the knowledge/semantics of the business into one place. The page structure we have chosen mirrors the structure of the business but is far more than just a file repository. Being able to bring together text, images links and files relating to a specific area of the business all on one page means that key information is available to whoever needs it, when they need it, great for documenting and maintaining business processes and procedures. As with most cloud based applications, you are at the mercy of your internet connection and there have been times when working on a file, the changes weren't uploaded and I lost work. One way round this is to synchronise files to your PC and work on these instead, knowing that changes will be reliably saved to your computer and then modified files uploaded to the cloud in due course. Another bugbear is that in order to attach a file to an email requires that you download the file first, but again if you work off a synchronised local copy, then this is not a problem. "Works great for access anywhere but every day I get an error when opening any kind of document." Access to documents anywhere I am so I can share with colleagues. I get an error every single day when trying to open a document - word, excel, PPT, etc. - that says I don't have enough memory to open the document and it won't open. Then I go to try and open it again and it works except that now I get an error that says I am working in said document and so it can only be accessed as "read only" and not edited. Anyone else who goes to access the document then thinks I am in it and also cannot edit it. The only way to fix it is to delete and re-upload this document. This happens every single day to every other item I open. My IT department says I have plenty of memory on my computer (especially to open text-only 2 page word document) and Samepage has no idea what is happening and has yet to come up with a way to fix it or even contact me directly. They simply go through our IT guy. Easily accessing documents no matter where I am. Being able to share documents easily with colleagues. "Have been using same page for a month now and absolutely love it. " My only minor issue right now with samepage is that the app version sometimes shows me that I have notifications but sometimes I can't find where they care coming from. We are able to keep our whole team together on a project no matter how far we might be physically to each other. it is very easy to share all of our information with each other. 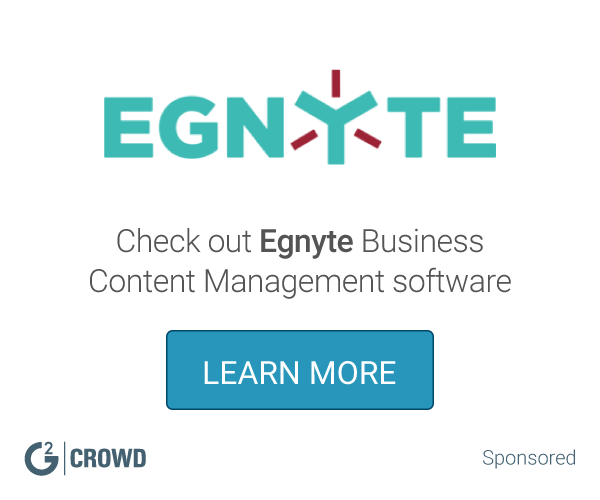 We use it to collaborate on making websites for companies, marketing campaigns, and more. Of course it because everything is on the samepage!! You can senselessly have all of your information and history for one project all in one place, making it so easy for the team to see what going on, and linking up the files to dropbox enables us to make sure that we have the most up to date version at all times, a very valuable feature for us. That you can archive the pages, but i suppose that's just a matter of opinion. take the time to get to know your support person, they are really good at getting things done for you and making sure the app is exactly what you want! Projects are organised and nothing is forgotten, we have all the information we need all of the time, making it less likely that we are going to miss something. "Good Concept - Doesn't fit our business needs"
What I like the best about Samepage is the format of all the links. Finding and opening files are easy and convenient to access and easy to share with others. All the links are well organized and easy to edit when necessary. I dislike not being able to open and preview all files. Many times only PDFs are allowed to be previewed while documents such as Word or Pages are only available for download. Making every file available for preview without download would greatly save space on office computers. Through Samepage I'm able to provide insurer companies with the proof of reliable data. Being able to have digital proof of data is of the upmost importance for our company and Samepage is a great tool for us. It Has everything one need to collaborate with multiple people on different people in different teams very easily. It has all the necessary tools in one place. The best thing I liked is , I can customize as I can see a fit. It could have been better if there was a way to organize the pages manually rather than only alphabetically and time created. I am using it to communicate wth my organization. It has greatly increased our ability to communicate to our whole organization as well as within specific teams. I like that it is simple, easy to use, user friendly, and has a receptive help support system. The search function is fairly horrible. You should be able to search with two characters, as several titles have initials or "PP" written and that's how it's easiest to find them. Also, being able to search within the documents would be good. The order of what pops up could also be better - empty folders and documents from years ago will show up before documents that are more relevant. Overall would recommend. The search functions and to do lists functions are poor, but it's easy and simple to use. Organization of client documents. Very easy to organize and simple to use.